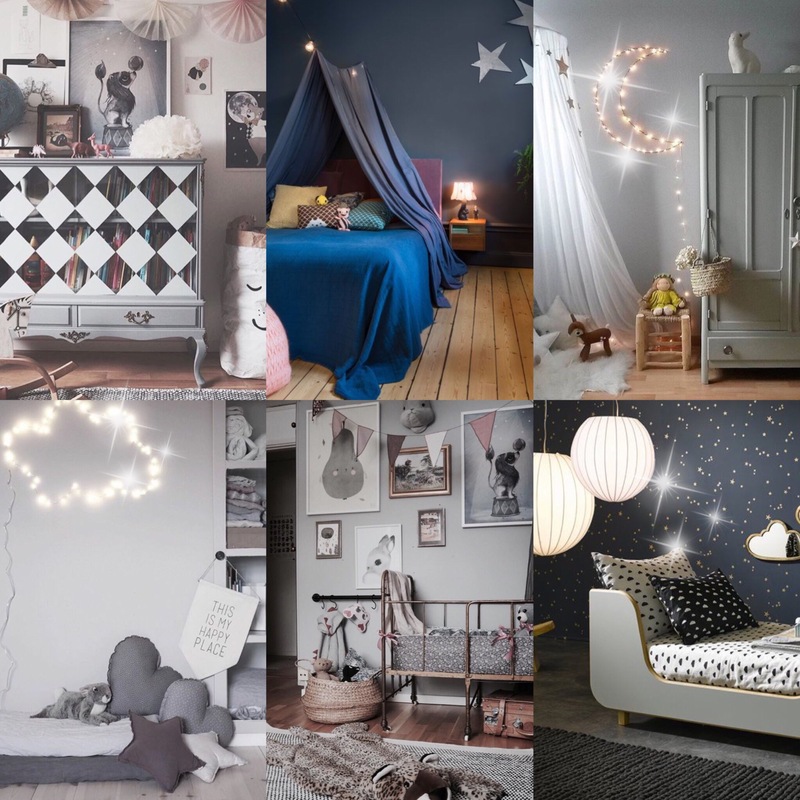 Velveteen Babies and our selection of the best bunny room decor. 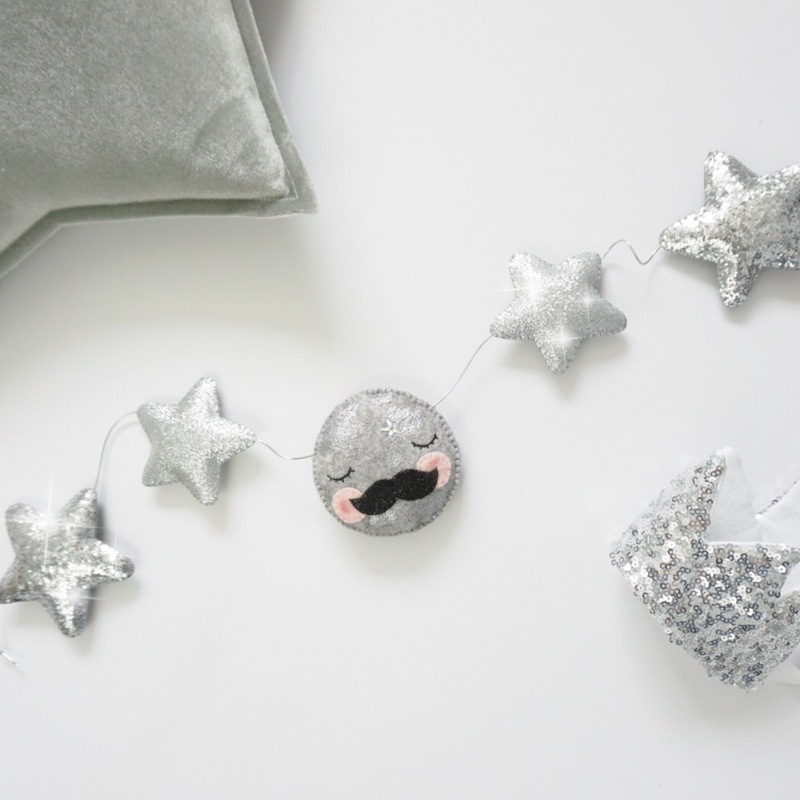 In the world of babies and nursery styling, there is one extremely popular creature that pops up in all shapes and forms. The bunny. Finding classic, muted and beautiful bunnies take a bit more sourcing. 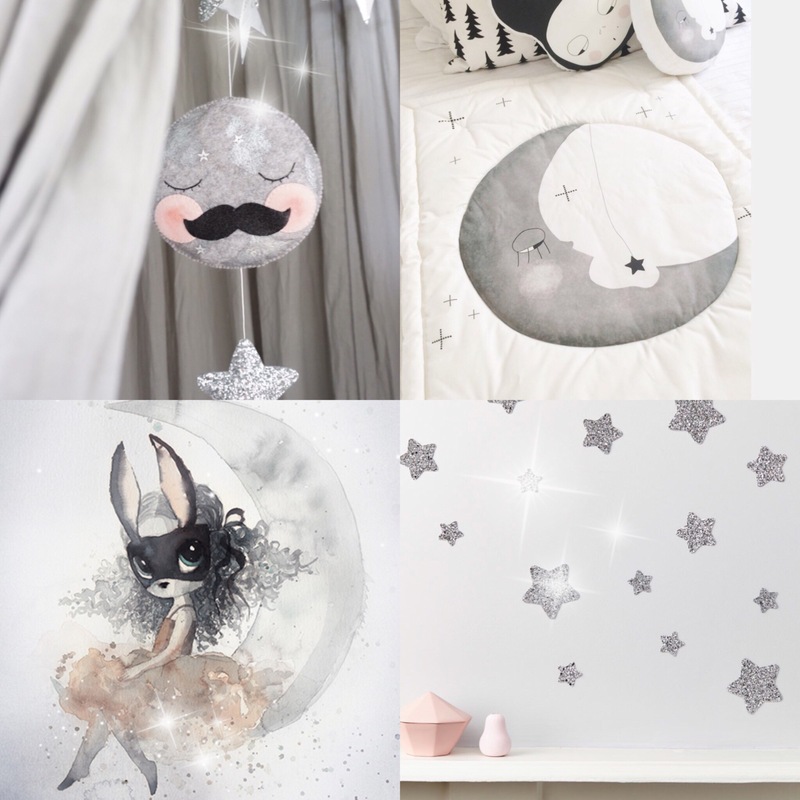 A few months ago I discovered a brand on Instagram called Little Blue Nest. I clicked on their page and was instantly drawn to the colours and illustrations which hark back to an Enid Blyton age, and reminded me of one of my favourite childhood books- The Animals of Farthing Wood. 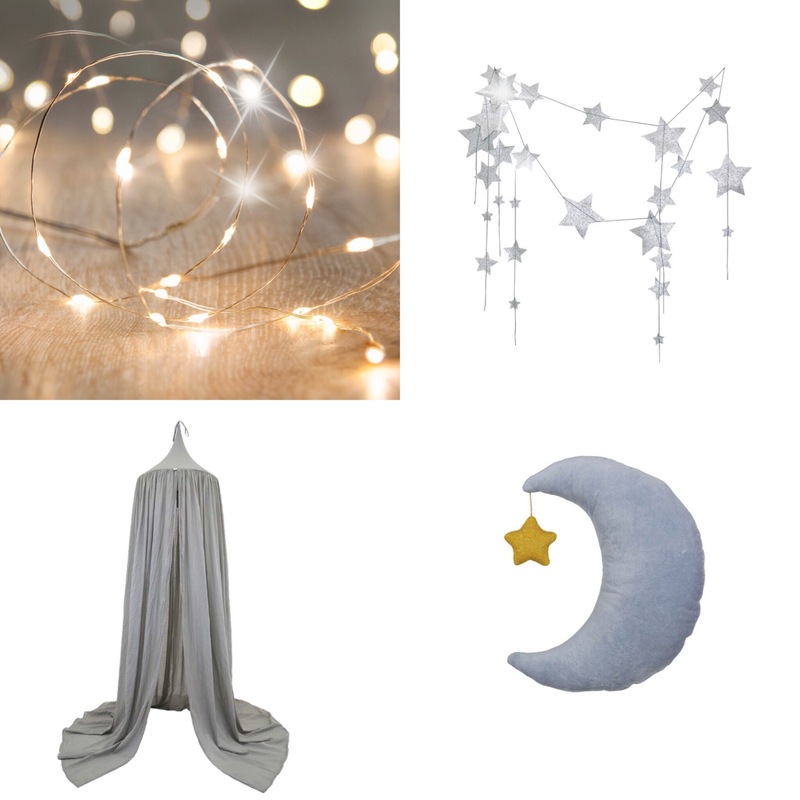 Created by Ila, the Little Blue Nest launched in late 2016. 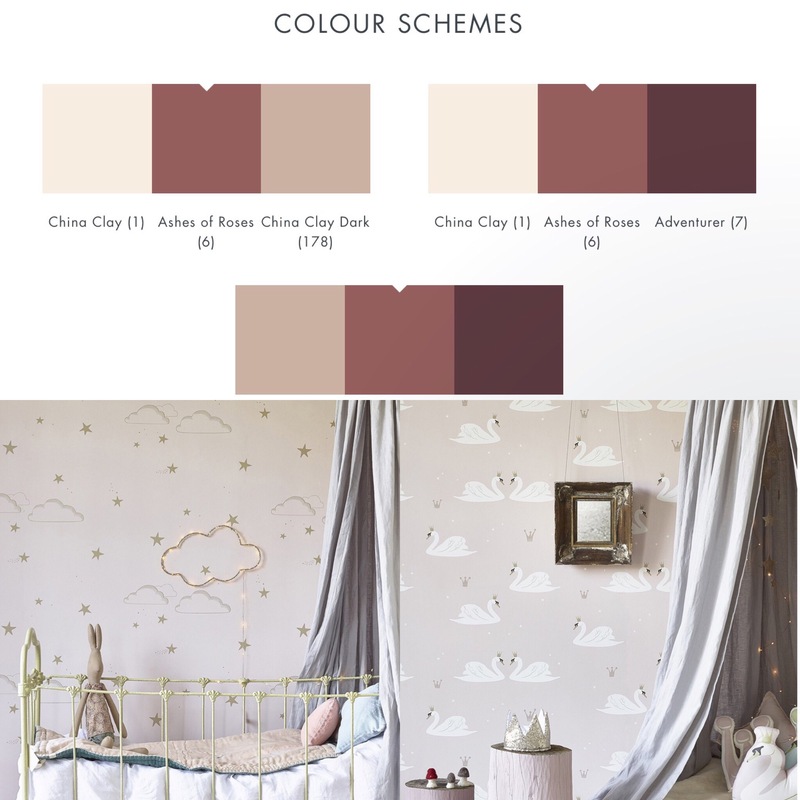 Ila set out to create an elegant and timeless nursery brand, and each each item is created from pure and organic cotton threads. 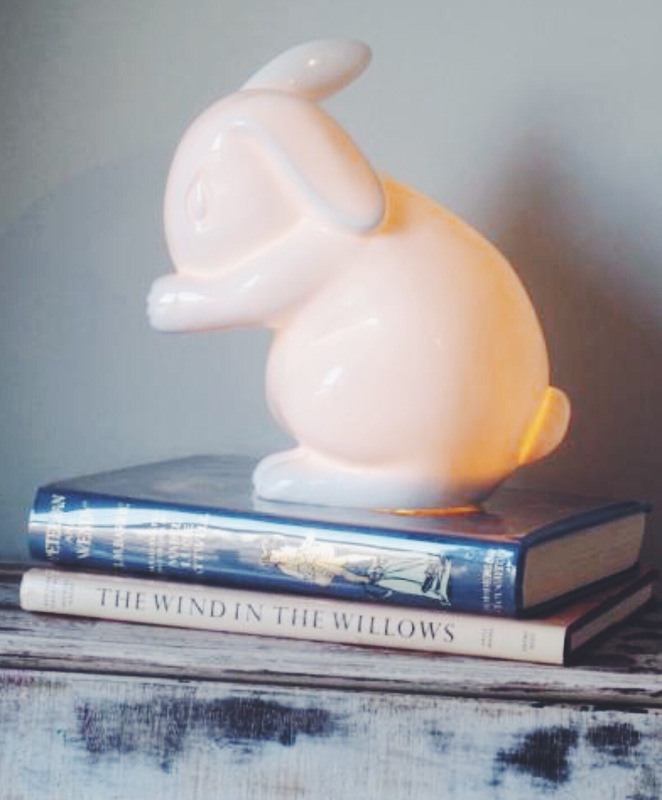 Another heirloom nursery purchase has to be this ceramic rabbit light £70 by White Rabbit England. They are handmade in the U.K and are a classic, something to love for years to come. 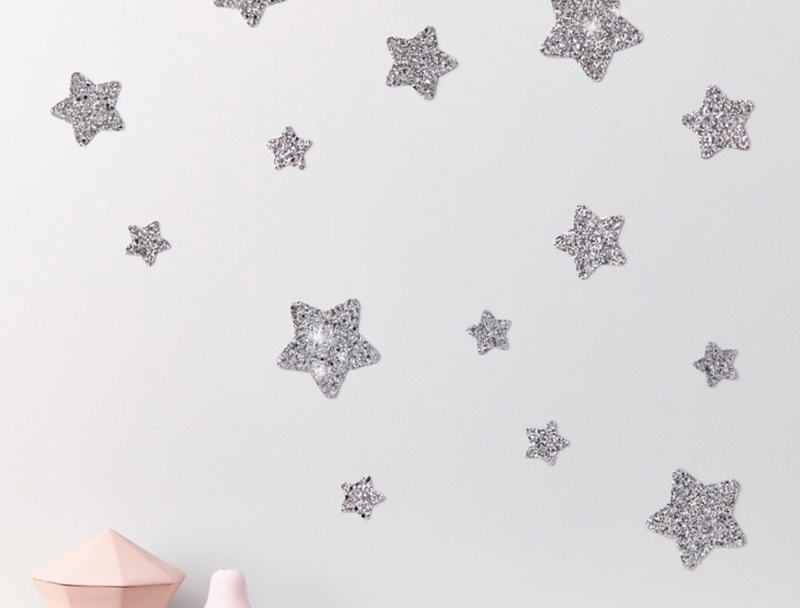 It would look perfect on a wooden shelf, stacked on vintage books, or with a Velveteen Babies garland and a botanical print in any nursery. 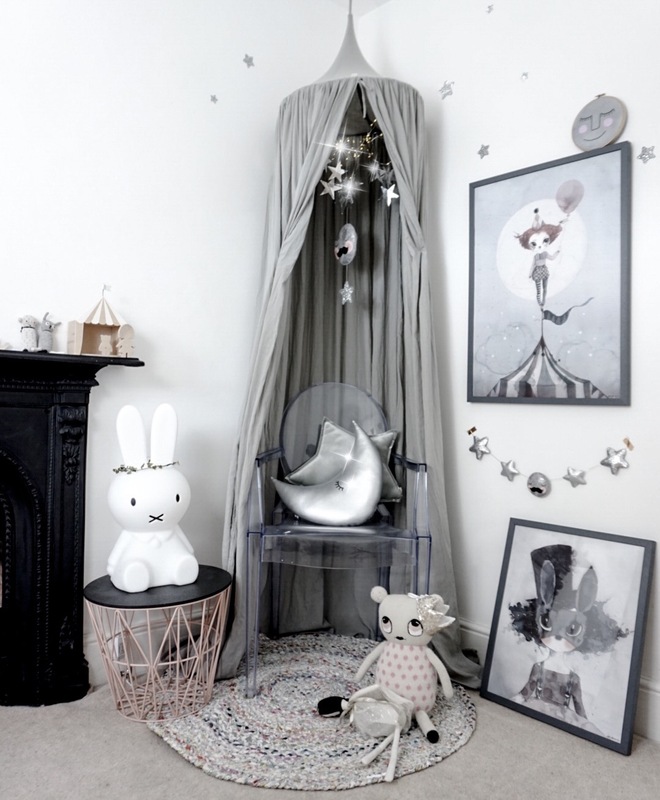 Beautiful bunny room inspiration with lamp from White Rabbit England. The Little Blue Nest collection covers both beautiful design, with the softest muslin. My daughter, Willa likes to sleep holding a muslin, and ever since I made my first purchase, our bunny swaddle blanket has been much commented on when we’ve had it out and about. Sleeping soundly in her Little Blue Nest Baby collection. 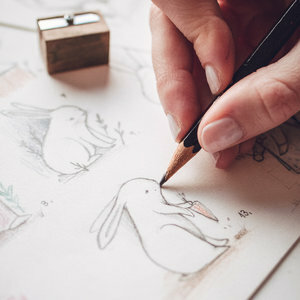 Luckily for us, the range has increased since our first parcel, and the Little Blue Nest Baby range now comprises of soft muslin cot sheets, quilts, muslins and the original swaddle blankets in this bunny design, but also in a carefully and lovingly created collection of a number of illustrations. We took delivery of the softest cot sheet the other day, and it’s truly lovely. 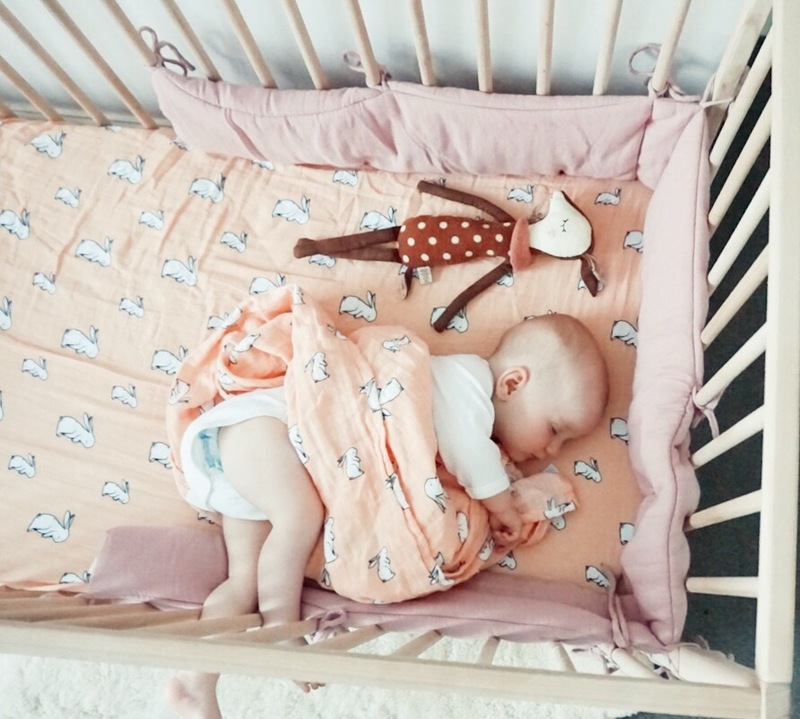 Our sheet is teamed with a soft muslin Numero74 cot bumper and I’ve introduced wood and natural design influences to Willa’s space- a natural sheepskin rug on the floor and plenty of greenery in raffia baskets really works to create a calm and serene sleeping arrangement. 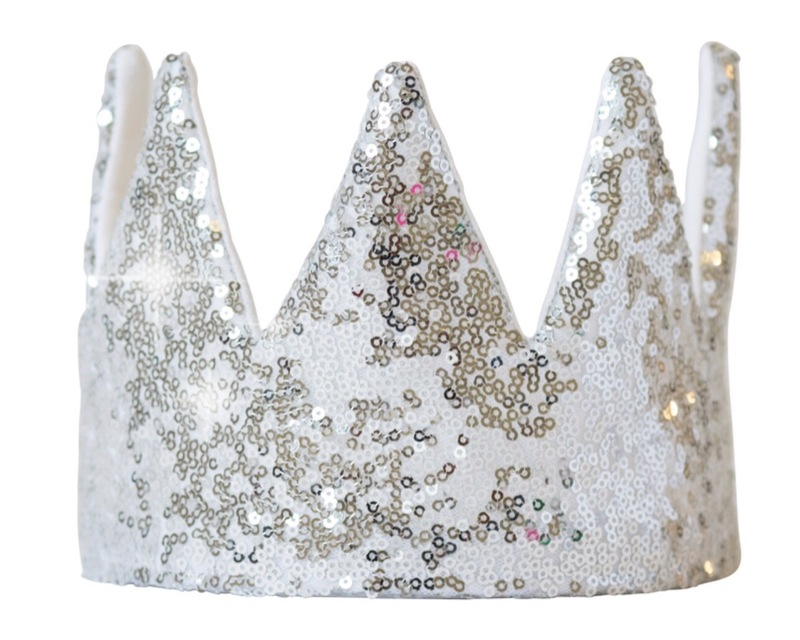 Our sweet Maileg fawn toy is sourced from Coco&Wolf. 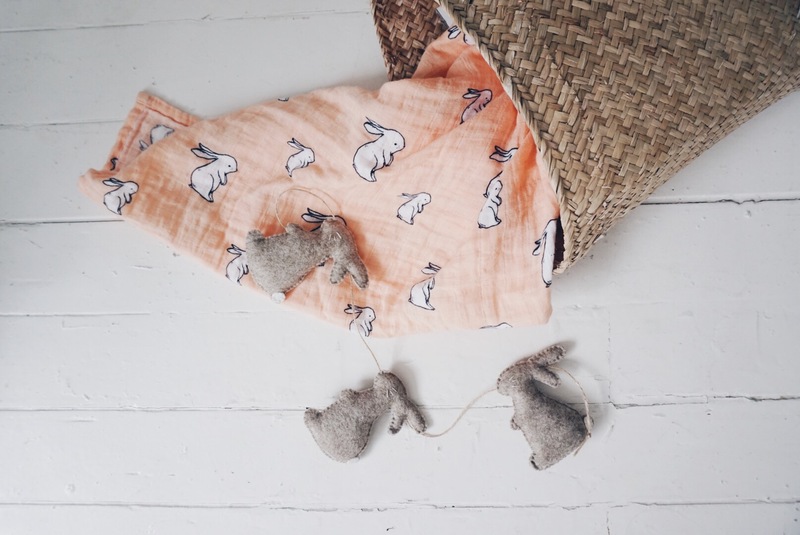 Best bunny finds for a natural inspired nursery. 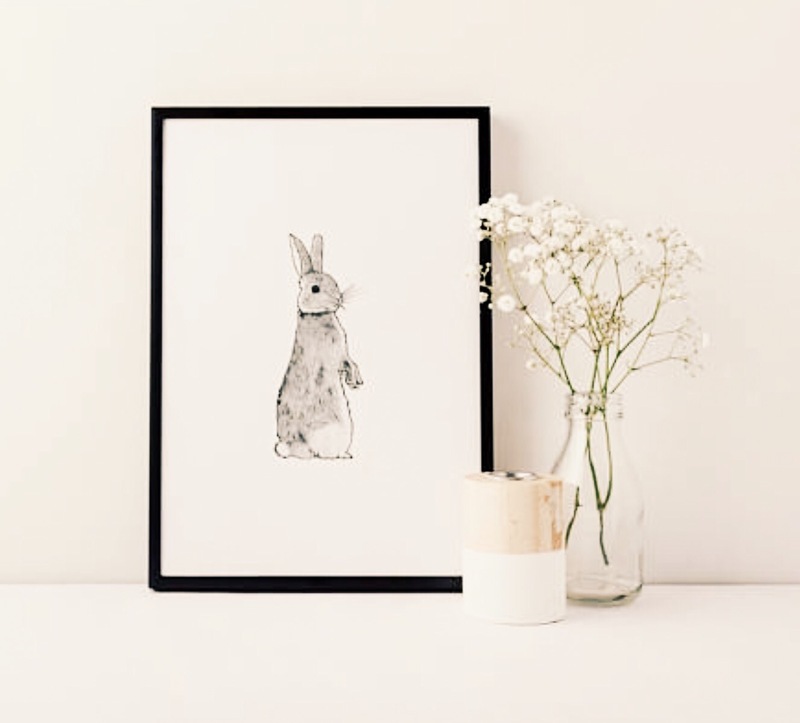 I’ve not got any artwork up, as we are moving house next week, but I think vintage inspired bunny prints by Boo&Bell would look sweet hung on a wood poster hanger around a nursery, or this Etsy find is this gorgeous print by Howell Illustration, which is so simple and subtle. 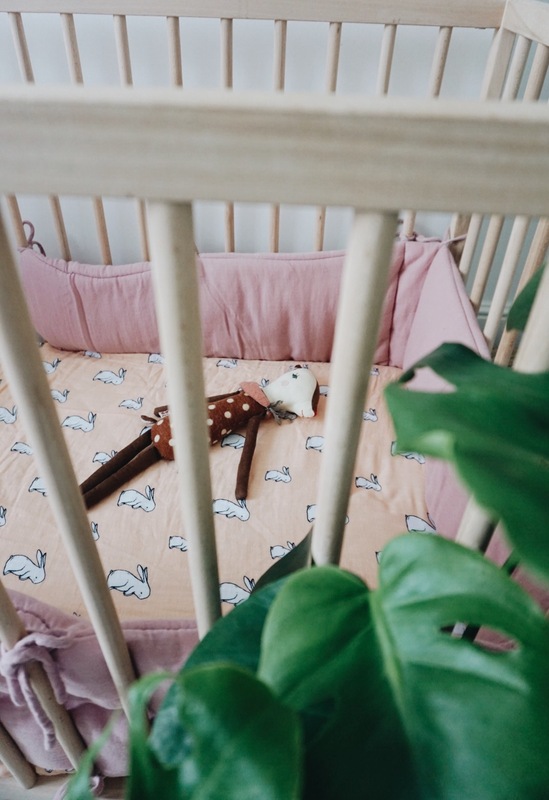 Bunny print Howell Illustration, Fawn toy from Coco+Wolf, Bunny bedding used throughout by Little Blue Nest Baby, cot bumper by Numero74 at Molly Meg, Bunny light by White Rabbit England and Bunny Garland by Velveteen Babies.